Avoid commissions, closing costs, repairs, marketing and the other expenses of listing. Sell Us Your House! You Will Receive a Fair Offer and We Will Take Care of Everything! You might have seen our commercials or our ads in the paper, but we are much more than what you see on TV. Our company was founded to help homeowners in OKC, Tulsa, and many other cities throughout Oklahoma. Over the years, we have grown, expanded and are now under new ownership. It is important for us to keep our founding principles at the forefront of what we do. We will work with any homeowner, with any property, in any situation. We might be a larger company than what we once were, but we still believe in providing the individualized attention every homeowner deserves. We provide solutions for situations that might appear difficult. Even if you don’t end up selling to us directly, we are certain you will benefit from giving us a call! Even if it is simply learning more about the value of your home, we would love to help! No matter your situation or the condition of the property, let us help you today! Since the company was founded over 30 years ago, we have helped Oklahoma City homeowners who felt stuck with an unwanted house. Not only do we help people in Oklahoma City, but we also help people in Tulsa, Moore, Norman, Del City and more! 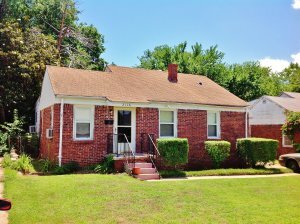 Why Do You Need To Sell Your Oklahoma City House? There are all kinds of reasons people need to sell their homes. After helping as many people as we have, nothing surprises us anymore! We know that tough situations can happen out of nowhere, and often to the best people! We are here to help with any problem you might be facing when it comes to the sale of your Oklahoma City area house! Are you behind on payments and facing foreclosure? We can help stop the bank from taking your home! Have you recently gotten a divorce or separation? A fast sale of your shared house can make the process much less stressful for all involved. Are there liens on the house you haven’t been able to take care of? Call us! In many cases, we will be able to clear everything up, allowing you to sell the house without any hold-ups! Do you own a vacant or uninhabitable house? We buy as-is, so you can leave all of the repairs to us! Are you dealing with bad tenants? Chasing rent and making constant repairs can be more trouble than it’s worth. Have you received an inheritance and you aren’t sure what to do with it? We can take it off your hands for a great price. Saving you the tie and hassle of a listing. Have you tried listing with an agent in the past without any luck? We still want to make you an offer! The MLS isn’t the right place for every property! Any house, any situation, any timeframe! We are here to help Oklahoma homeowners! Give us a call at 405-521-1800 to find out how we can help you! We are ready to answer your call day or night. If you submit your inquiry online, we will be in touch within an hour! We believe in being accessible and ready to help at any time! You will never have to talk to a machine or wait around all day for a callback. We will respect your time! In addition to a fast and straightforward transaction, there are many other benefits to a direct sale that you may not have considered. You won’t have to spend any money on repairs or clean-up. We buy as-is! You don’t have to worry about the sale falling through like you do with many other home buyers. We have the cash in hand and can close right away! You won’t have to pay listing fees, staging costs, marketing expenses and more. Find out how a direct sale can benefit you! Fill out the form below to get in touch! There is never any hassle or obligation!